An Amazing Team Experience! - Learning Tree Educational Store Inc. Looking for a way to build teamwork, cooperation, relationships, AND have some fun!? Join us in the party room for our NEW Team Building Parties! Each party includes an hour of team games and challenges and also a make-and-take creation for each guest! Book a party on a Saturday from 1130am-1pm, 130-3pm, or 330-5pm OR on a Sunday from 130-3pm. Call us at 905-319-2690 to secure a date and time. 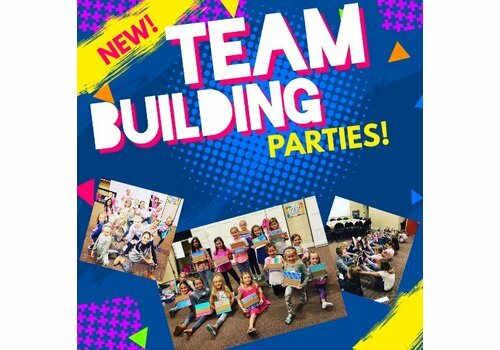 Ages: Team Building parties are suitable for children ages 3-12. Investment: $199 (+HST) includes the first 10 guests (add $15 for each additional child). We require a 50% deposit at the time of booking to hold your date. When Can We Arrive? : You are welcome to arrive 10 minutes before your scheduled party to set up, if necessary. "My daughter attended a team building party at The Learning Tree with her competitive dance team (ages 7-9). The event was wonderful and the girls had so much fun! Amy was really engaging and interactive with the girls. The activities were customized so that the girls could spend time learning about each other and making connections all while having fun and staying on theme (ie. dance!). I especially liked the way Amy used creative ways to group the girls so they all had the opportunity to mingle and work in different groups. There was a lot of attention to detail in all of the activities. My daughter especially liked the dance themed craft which is hanging in her bedroom as reminder of this great event with her dance team. I would highly recommend a team building party for any dance, sports or other group looking to foster teamwork and collaboration." 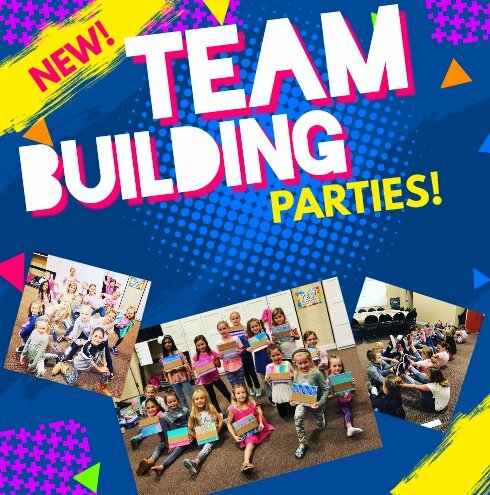 "Team Building parties at Learning Tree are a fun and creative way to start your season off. My daughter was new to her team this year and feeling quite shy and nervous. It is sometimes hard to get to know your group/team when you’re learning and training in class. The party allowed them to talk and get to know each other and it also allowed the parents a chance to chat as well. This very well organized event had such fun activities that got them to talk to each other and get to know each other, it was so creative and a fabulous way to start the season. I highly recommend booking your team building event at the Learning Tree!" Refund & Credit Policy: No refunds, however, credits may be issued if booking is cancelled at least 14 days prior to the event. Birthday credits must be used within 2 months of the original booking date.